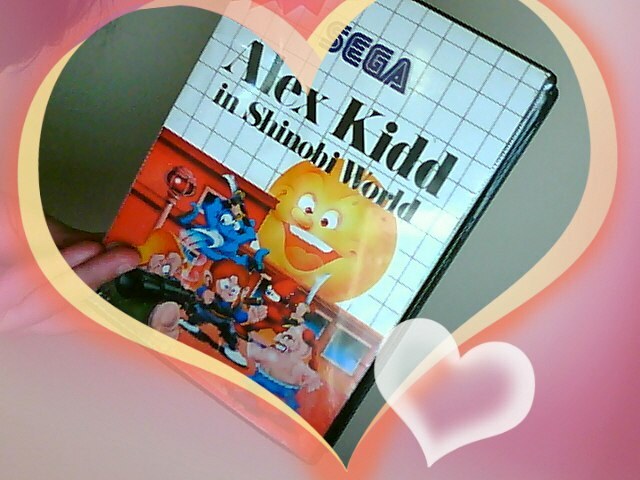 Released in 1990 for the Sega Master System, Alex Kidd in Shinobi World (aka AKiSW) was the final instalment in the Alex Kidd series. 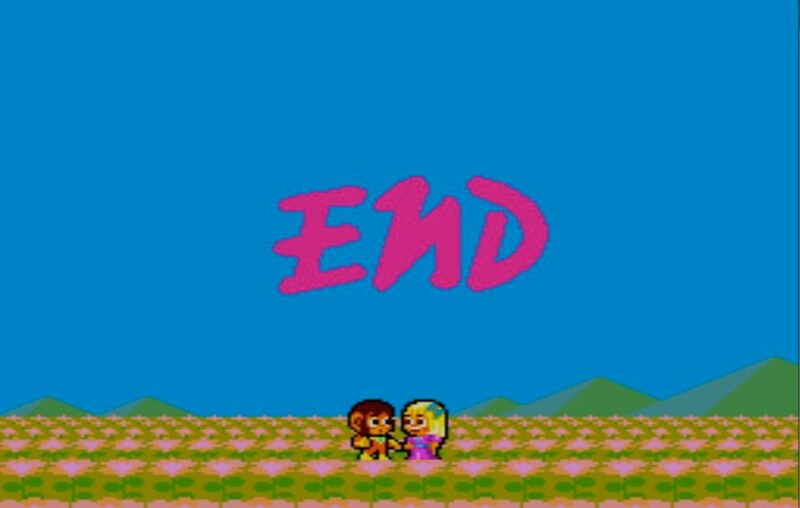 For me this game is right up with the first title, Alex Kidd in Miracle World. 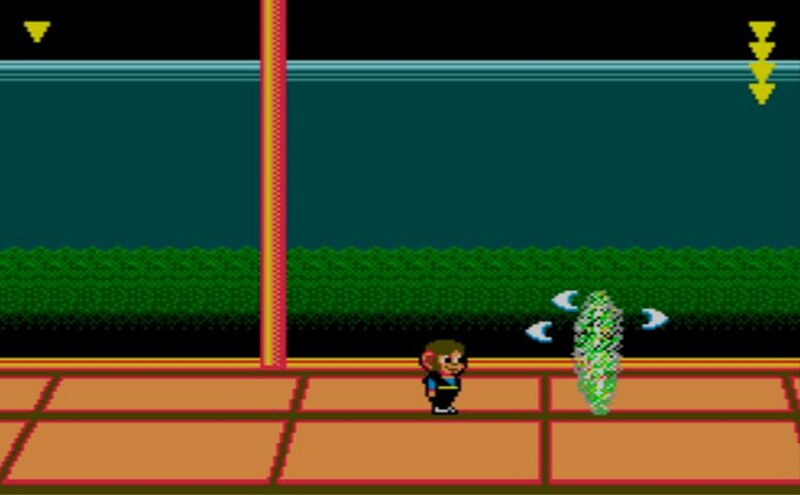 AKiSW was released as somewhat of a parody of the original Sega Master System classic Shinobi, and in several ways it incorporates many of the same elements…subtleties within the soundtrack and sound effects, game layout, and areas bosses are just some of the similarities the player might notice. The story of AKiSW goes something like this; Alex was spending an afternoon with his girlfriend when the sky suddenly darkened. 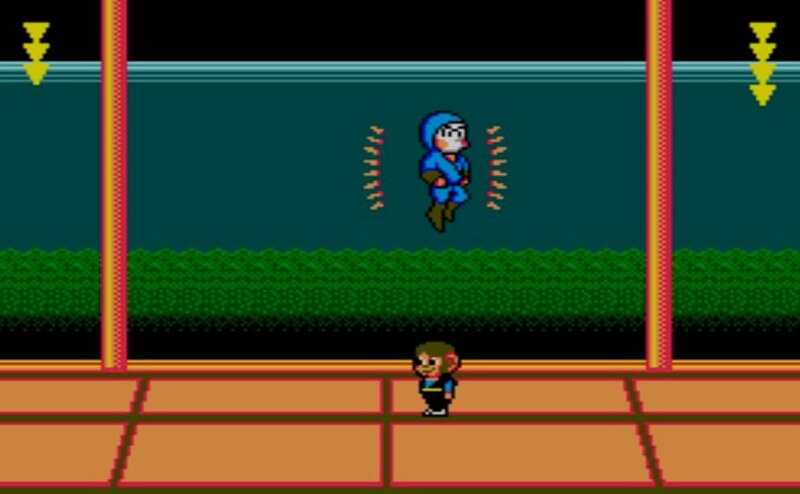 With a flash of lightning the Dark Ninja appeared, snagged the girl and vanished into thin air. 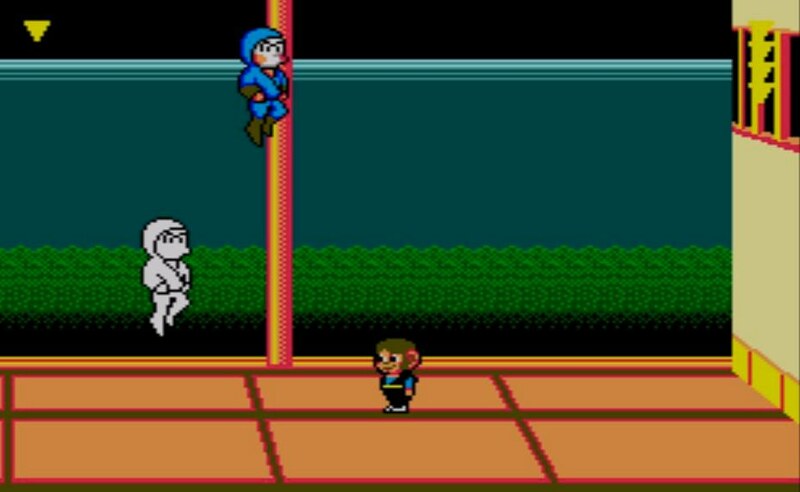 The White Ninja appears with the message that the Dark Ninja “Hanzo”, has taken Alex’s girlfriend hostage in the hope of taking control of the Miracle World. After accepting the White Ninja’s “ninja power” Alex embarks on his journey. 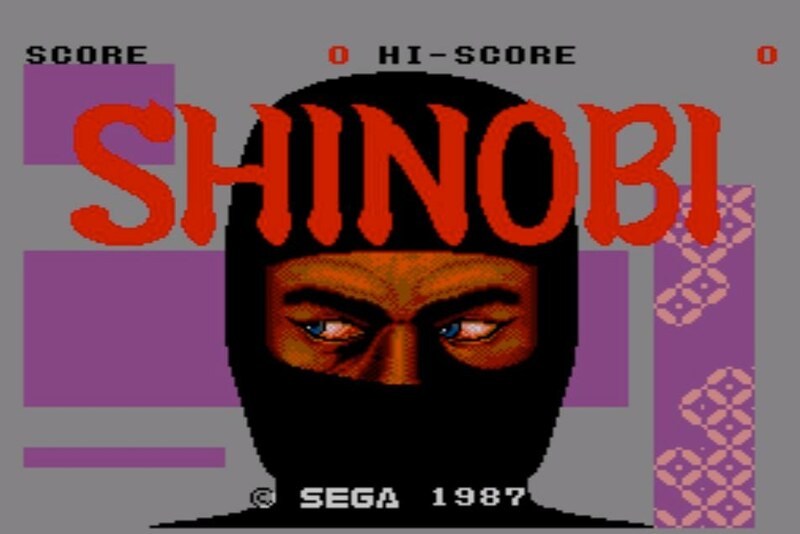 In true ninja style Alex slashes his way through four level of the Shinobi World. He has also added a set of impressive moves to his repertoire since the Miracle World days. 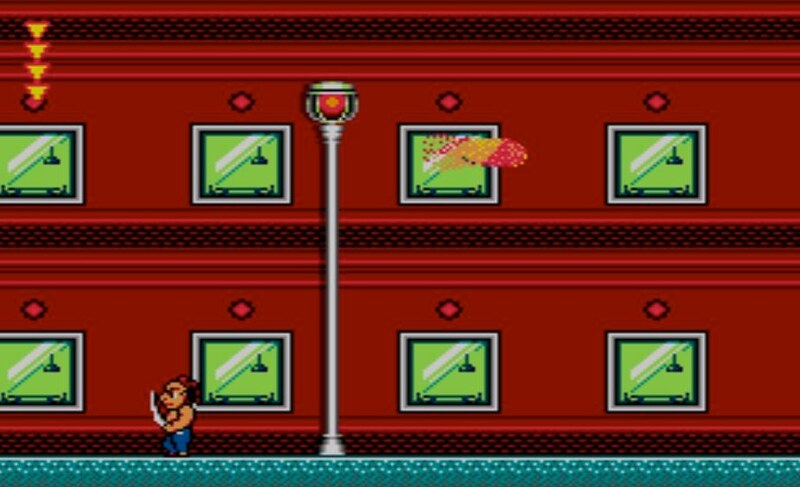 Alex can now bounce off walls, skim across water, and the most impressive of all, turn into a fireball! The imagery is crisp and quite realistic of urban infrastructures such as a modern city, a harbour…even traditional Japan complete with a monk wearing geta, a form of traditional Japanese footwear. 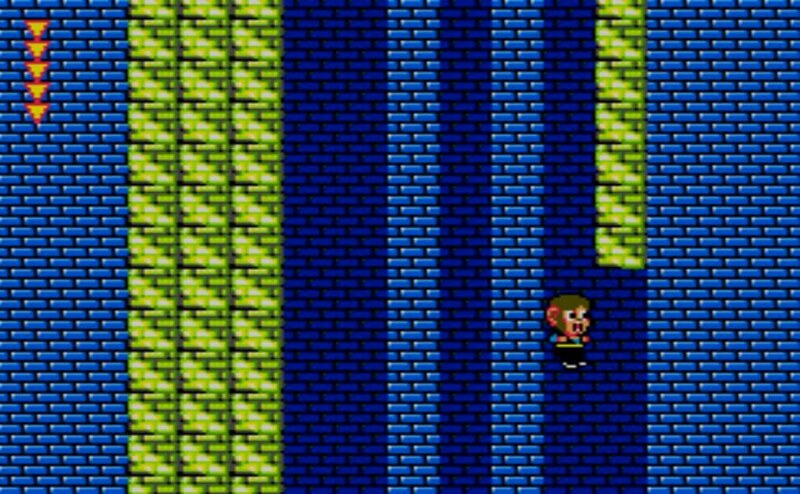 A number of hidden areas are scattered throughout the game, just keep a look out for slight transparencies in the walls. 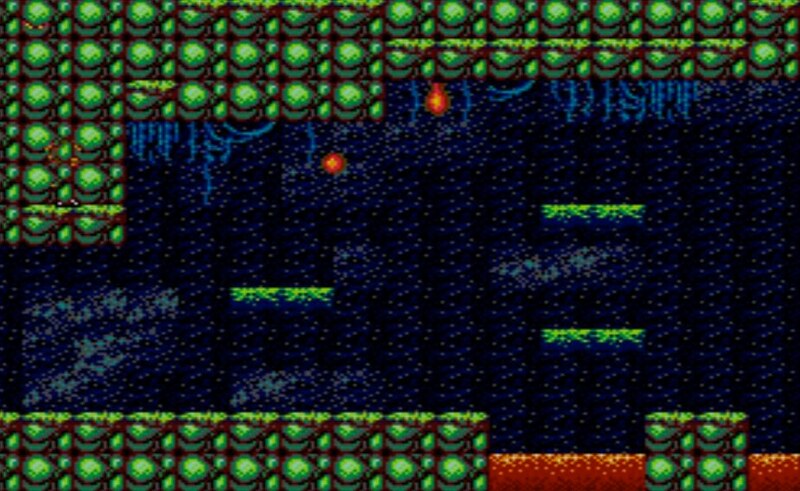 Usually there are treasure chests in these areas containing useful items such as extra lives and power ups, or they just enable you to bypass tricky areas. Can you spot Alex? The final area is where the game starts to get a little interesting. Not only do you have to defeat the final round boss Hanzo, but the first three round bosses make a reappearance! Defeating Hanzo is no easy task either. But like with any game boss, there is always a weak spot. The key to defeating Hanzo is to get a quick strike in when the spikes that surround him disappear for a split second as he leaps through the air. Four strikes later and Hanzo’s dead…or is he? Think again. Hanzo returns from the dead, not once but twice! Alas, true love is finally restored. One of the things that grabbed me about this game is the attention to detail. For example when Alex drops, so does his jaw, as though he’s screaming! I also recently noticed that each time you strike Kabuto, the first round boss, tears briefly spout from his eyes. For me the soundtrack is the best part of the game. 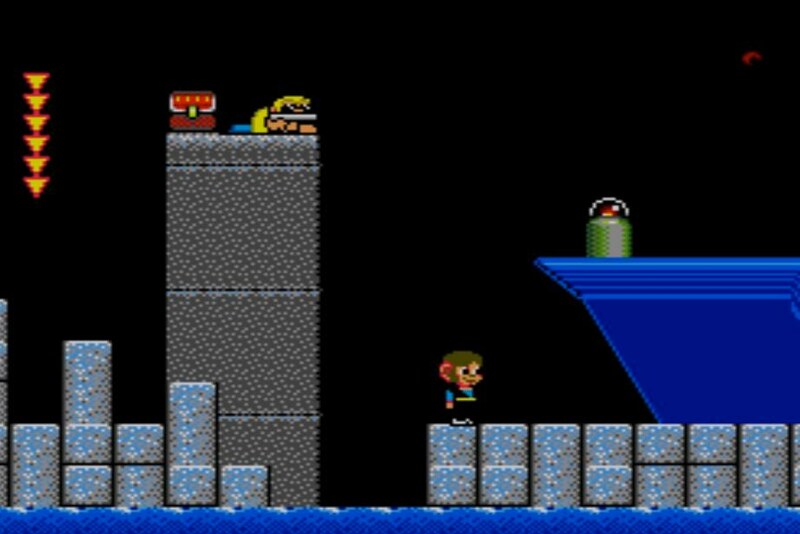 I find some video game soundtracks to become a little monotonous after a while, the same constant tunes drilling into my head…not with Alex Kidd in Shinobi World. The soundtrack can be subtle, it can be cute, it can also be dramatic, and it accurately reflects the scenes Alex encounters. For example, in the final round you can almost sense the approach of the final nemesis as the music takes a subtly more serious tone. I don’t say this very often, but I cannot pinpoint one thing I dislike about this game. 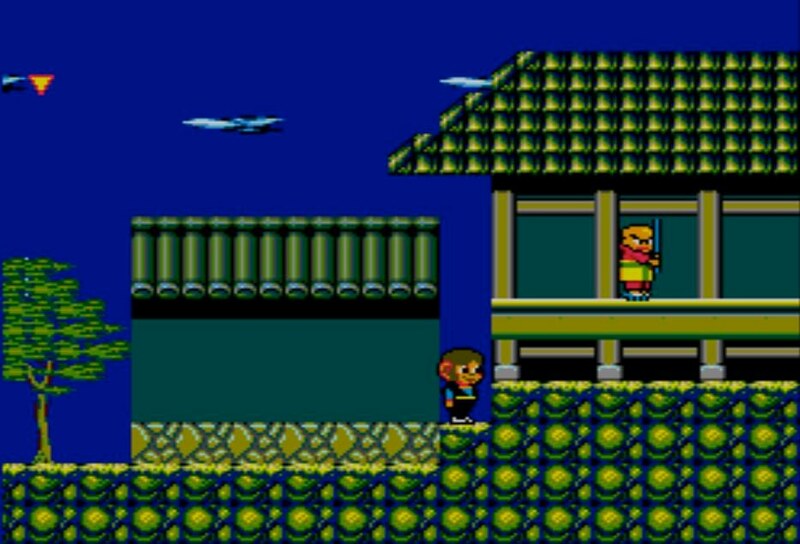 Although the game is a little on the short side, Alex Kidd in Shinobi World makes for pleasant, relatively easy game play, and most of all it’s fun, fun, fun! Another drawcard for me is the Japanese look and feel to the game. Strangely though, the game was never released in Japan.